Dubai: A time to buy? Or a time to stay well away? There are no easy answers for investors keeping a wary eye on Turkey’s real estate market. Sure, the Turkish lira’s been taking a pounding (along with some of the other emerging market currencies), but the country’s property market had been doing relatively well up to that point. The lira’s off more than 20 per cent against the dollar since the start of the year. But since then, the lira tanked and putting the economy under severe strain. That’s not all. Potential property investors need to be clued into the country’s politics as well. There is no separating one from the other. Turkey is having general elections on June 24, and it could be that a clearer picture on where the economy is headed will be available only after that. 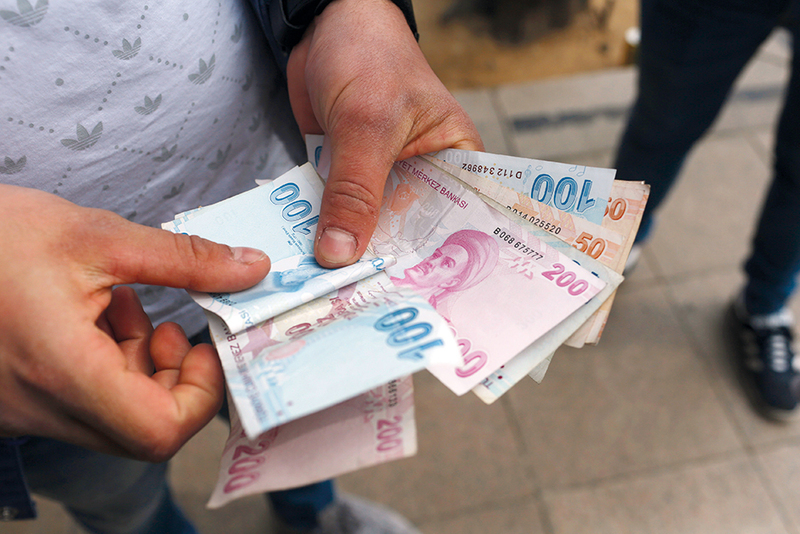 “Although the lira has slipped against the dollar and the pound, its weakness is less of a factor for overseas investors than the broader economic and geopolitical landscape in Turkey,” said Everett-Allen. Investors from the UAE seemed to have stayed back from committing to Turkish property in the first three months of this year. But those from Saudi Arabia and Kuwait feature in the Top 6 rankings of foreign nationalities in terms of investment value, while Qatari investors were placed 12th. Iraqi and Iranian investors were placed first and third, respectively, while Saudis occupied the second spot. “GCC buyers covered 17 per cent of total residential unit sales to foreign buyers in the first quarter of 2018,” said Huma Kartal, Research Analyst at the Turkish property firm of Pamir & Soyuer. “But annual residential unit sales to foreign buyers are lower than 2 per cent of total residential sales, at around 20,000 units a year. “The citizenship is offered to all international buyers, regardless of the developer or (whether they are) secondary market sales. It is offered only for investments above $1 million. But the majority of residential sales are below this level. “The rapid devaluation of the lira against major currencies will provide attractive price levels for residential properties.” But will a falling lira convince Gulf buyers to keep faith in Turkish property? In recent years, the annual Cityscape event in Dubai had a sizable representation of Turkish developers, and trying to catch the eye of investors willing to pay $1 million and more for citizenship rights. Developments such as the hugely ambitious Istanbul Financial Centre and mixed-use projects in and around the new airport in Istanbul were showcased. Market sources say that investors from here and elsewhere in the Gulf had responded quite well - but then everything changed after the crisis erupted between the Gulf states and Qatar in May last year. Turkey was seen as taking an equivocal stance on Gulf states’ demands of Qatar. At last year’s Cityscape in Dubai, Turkish representation was distinctly low profile compared to years past. And investment data does suggest that investors from the UAE have been keeping a distance from new commitments on Turkey property. Should other regional investors too be looking elsewhere? Specifically, should they get back into Dubai’s property market in a big way? Sources here suggest that current property values in Dubai still represent a good entry point for investors wanting to see as little volatility on their asset purchases. The upcoming second quarter transaction figures from Dubai Land Department should offer some sort of indication of where Gulf and Arab investors’ interest lie. Keep pulling in more of these investments and there could well be an upturn ahead.